El Chapo’s texts to Mexican actress Kate del Castillo. Drug kingpin Joaquin ‘El Chapo’ Guzman is escorted into a helicopter at Mexico City’s airport on Jan. 8, 2016 following his recapture during an intense military operation in Los Mochis, in Sinaloa State. The Mexican publication Milenio had a great scoop today: They got their hands on text messages exchanged between recently reimprisoned drug lord Joaquin “El Chapo” Guzman and Kate del Castillo, the Mexican actress who brokered his meeting with Sean Penn. 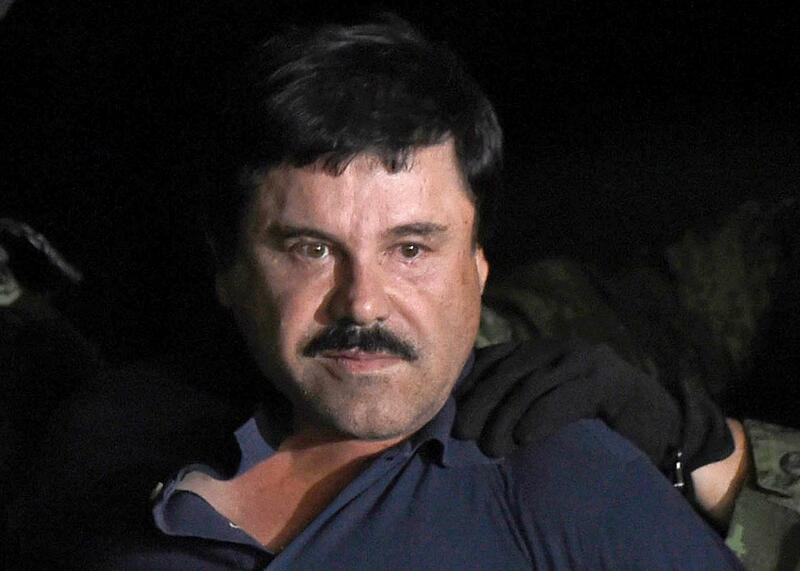 That meeting and interview, published in Rolling Stone, led to El Chapo’s arrest on Friday. According to Milenio, the text messages were sent over a series of encrypted BlackBerry devices. Throughout, El Chapo strikes an affectionate, at times romantic, tone with del Castillo, who reciprocates. How much of what either of them text is genuine romantic sentiment, we’ll never know. What we do know is that when Mexican marines raided El Chapo’s hideout they found the entire collection of del Castillo’s narconovela TV series, La Reina del Sur, in which she plays a drug lord who drinks, smokes, curses, and doesn’t hesitate to kill or torture whoever gets in her way. El Chapo and del Castillo are texting for the first time to set up their first encounter. El Chapo says he wishes she could come and stay with him for three days, but there have been heavy rains and there’s no passage. The lawyer is telling El Chapo that del Castillo got home very late the night before because she was drinking and dancing with friends. El Chapo is having trouble pinning down Sean Penn. On Sept. 27, del Castillo texts El Chapo on her whereabouts as she travels to Los Angeles. El Chapo calls del Castillo “beautiful,” thanks her for being such a good person, and wishes her safe travels. After an initial meeting with El Chapo in Sinaloa, Mexico on Oct. 2, described in Penn’s Rolling Stone article, Del Castillo and Penn wait for about a week to have a second meeting, but it never happens because of security concerns. Del Castillo is traveling back home from Sinaloa after the aborted second meeting. On Oct. 29, El Chapo texts del Castillo again to tell her he wants to see her again, and wants her to meet his mom. On Oct. 31, and then again on Nov. 5, they exchange texts again about logistics for El Chapo’s biopic, which del Castillo was reportedly meant to produce. El Chapo asks her what her favorite food is in order to offer it to her when she returns. He tells her he “loves and admires” her and “has no way to repay” everything she’s done for him and his children. On Nov. 9, del Castillo texts El Chapo letting him know the article is finished and just needs his approval. She tells him she has been told she is being surveilled, and that things are getting too dangerous, even though, she says, “both me and my friend (Penn) want to see you again and finish the mission you assigned to me.” The text exchanges end here. Sergio Galaz contributed to this post.